Refinancing your existing mortgage loan into one with lower interest rates could shave hundreds of dollars off your monthly mortgage payment. But to qualify for a conventional mortgage refinance, you'll need to have enough equity in your home. The way lenders determine your equity is to schedule your house for a real estate appraisal. Most mortgage lenders require that you have at least 20 percent equity in your home before they'll approve you for a refinance. If you have a home worth $180,000 and you owe $120,000 on your mortgage loan, you have 33 percent equity in your home. You calculate equity by dividing the amount of your home you've paid off into your home's current market value. In this case, that's $60,000 divided by $180,000. But if your home has lost value since you purchased it -- maybe you bought it for $200,000 and it's now worth $150,000 -- you might not have 20 percent equity. You might even have negative equity, meaning that you owe more on your mortgage loan than what your home is worth. To determine your equity, your mortgage lender will send a real estate appraiser to your home to calculate its current value. 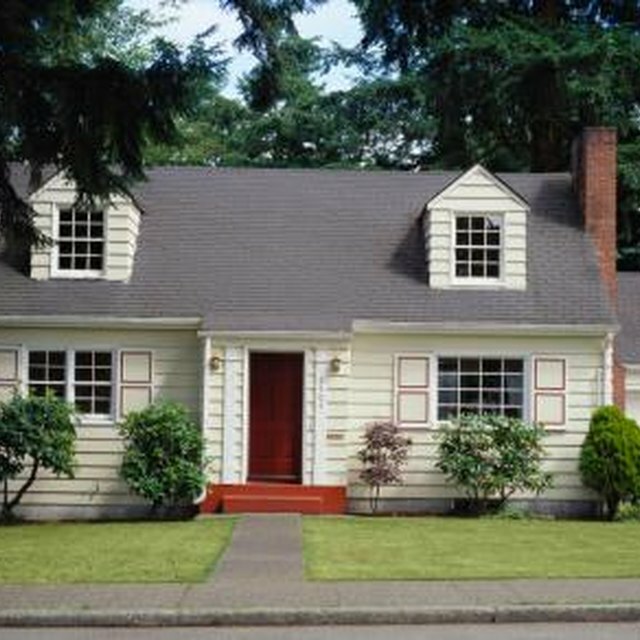 Your appraiser will look at the sales prices that nearby homes similar to yours have earned. The appraiser will also consider any improvements -- such as a renovated kitchen or the addition of a master bedroom -- that you've made to your residence. Armed with this information, and after taking a brief tour of your home's exterior and interior, the appraiser will determine your home's current market value. Your lender will use this figure, along with how much you owe on your existing mortgage loan, to determine your equity. Appraisals aren't free, and most lenders will charge you for it. Most lenders also won't refund your appraisal fee even if your home's current market value comes in too low to qualify you for a refinance. A number of factors will influence how much your appraisal costs, such as your home's size, age and location. The National Association of Realtors, though, says that you can expect to pay from $250 to $350 for an appraisal of a standard home. If your appraisal comes in too low to allow you to qualify for a conventional mortgage refinance, you might still qualify through the federal government's Home Affordable Refinance Program, better known as HARP. This program provides financial incentives to mortgage lenders that are willing to refinance the mortgage loans of homeowners who have little, no or negative equity in their homes. To participate in this program, ask the mortgage lender with which you'd like to refinance if it is participating in HARP. Most lenders are. A HARP refinance might not even require an appraisal, though some lenders will require one to determine if you actually need the program.